The air was warm and breezy in the afternoon of Friday April 17, and the anticipation of the varsity girls track team filled the stuffy air of the bus. Weeks of practice and improvement, as well as a two hour bus ride, had led to the arrival at the Fricke Invitational at Ottawa Township High School. The track was unlike one the girls had run on before, but it did not shake anyone’s confidence because they all knew that they came to win it all. This meet was an ABC meet, meaning the top three athletes in each event would compete and their points would be added together, and the competition was a change but the girls were up for the challenge. 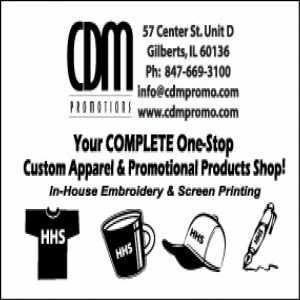 Eight teams were present at the meet including: Huntley, Ottawa Township, Kaneland, Dunlap, Morris, LaSalle, Oregon, and Burlington Central. The meet began at 4:30 p.m. with the start of all field events. The shot put was swept on all three levels by freshman Katie Bessey, junior Sarah Henderson, and freshman Emma Behrens. Senior Tess Miller and freshman Rhian Whitfield won their flights of triple jump, senior Delaney Lyman won her flight of the pole vault, and junior Nicole Zielinski won her flight of the long jump. The Red Raiders also found tremendous success in the running events. Juniors Jerissa Chan and Kiera Daly won their flights of the 800 meter run, and junior Kate Mitchell placed second in her flight of the 800. The 4×100, 4×200, 4×800, and 4×400 meter relays each ran solid times and found themselves in second or third place. Senior Emily Schmit and freshman Rhian Whitfield won their flights of the 100 meter hurdles, and Schmidt turned around immediately to win her flight of the 100 meter dash. The talent and endurance of the girls track athletes this year is truly impressive and exciting. 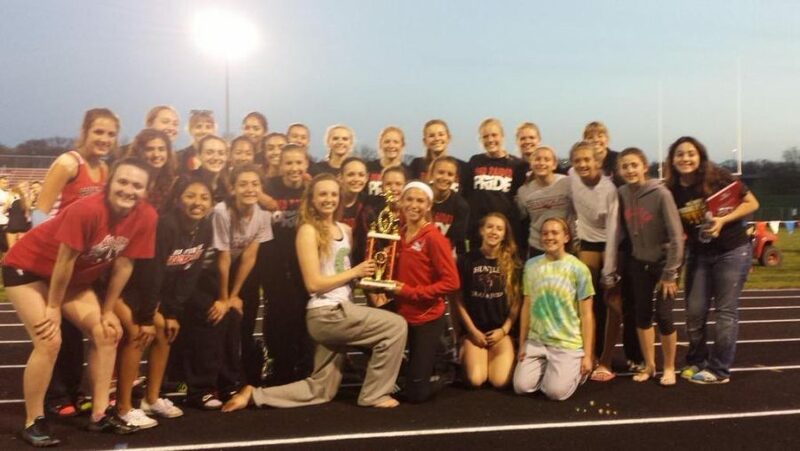 The girls Red Raiders track team’s tremendous depth and talent earned them first place in the Fricke Invitational, after last year when they earned third place. The win was highly anticipated by the coaches and athletes, but there was still some doubt with the absence of senior Macy Tramblay, a varsity hurdler, sprinter, and triple jumper. The girls were all smiles and as he does after every meet, coach Brad Gallaugher talked to his team about getting to the “next level.” The team has won all five of the invitationals they have participated in this season, and are anticipating further success with the approach the McHenry County Track Meet on April 23 and 24.